Michael Arlt can be heard on CDs and on tours with an increasing group of international bands and musicians since 1986, among them Red Holloway, Houston Person, Maria de Fatima, Jerry Granelly, Joris Teepe, Roman Schwaller, »Grooveyard«, Olive Kent, Paquito D'Rivera, Luciano Biondini, »Mezzanotte«, Rick Hollander, Thomas Stabenow, Dan Kostelnik, Josè Cortijo, Tony Lakatos, Jean-Yves Jung, Keith Copeland, Jean Marc Robin, »Weathertunes« and many others. Concert journeys led him to France, Belgium, Switzerland, Austria, Holland, Italy, Poland, Denmark, the USA and all over Germany. 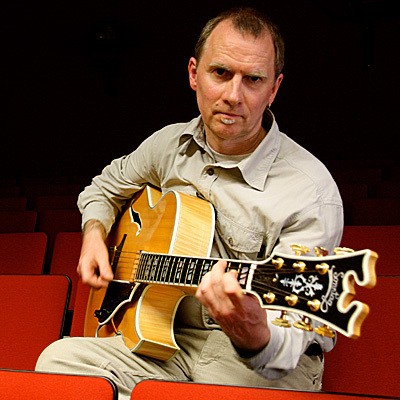 Michael Arlt is the lecturer for Jazz guitar at the university of music in Würzburg/Bavaria and was a tutor at a lot of Jazzworkshops, among et al. at the Berklee College of Music. Arlt‘s versatile discography as Bandleader, side man and guest soloist covers more than 20 records so far. The current CD »A New View« appeared at Bobtale Records.